Families Isolated By Rare Genetic Conditions Find New Ways To Reach Out : Shots - Health News A website that helps connect families of kids who have extremely rare genetic diseases with scientists — and with other families — is turning up new diagnoses, support and avenues of treatment. Milo Lorentzen is 5 years old, and is one of only three people in the world known to have a mutation in a gene called KDM1A. The staff called in a geneticist, who issued a misdiagnosis — the first frustrating episode in what would become years of testing, as Karen Park and Peter Lorentzen searched for a way to help their son. Five years later, Park and Lorentzen know Milo's significant developmental delays likely stem from a mutation in a gene called KDM1A. He didn't inherit that mutation from his parents; it's new in Milo, though it could be passed along to any children he might one day have. And because a mutation in that gene is so rare, little is known about it. If KDM1A is indeed the culprit, Milo has what's known as a Mendelian disorder — a rare condition caused by a genetic mutation, typically in a single gene. There are some 7,000 to 8,000 Mendelian conditions known, but researchers have found the specific genetic cause for only half. The rest are categorized as Mendelian because they are transmitted from parents to children in ways suggesting they are caused by mutations in single genes. In some cases — and researchers say Milo's appears to be one of them — a new mutation reveals a condition that's never been identified before. There is no treatment for his condition. Families who have a child with an illness that's likely genetically based, but never before described in the scientific literature, are lost in an information desert. They can be isolated by research protocols that keep scientific findings quiet until they are published, and by health privacy laws that prevent, for example, a genetics lab from connecting two families who have the same mutation. The journey of Milo Lorentzen reveals what Dr. Christian Schaaf, a geneticist and assistant professor at Baylor College of Medicine, says are two major inadequacies in genetic medicine — the absence of support for families whose kids are ill but don't yet have a diagnosis, and the lack of a clearinghouse where families and researchers can find one another. 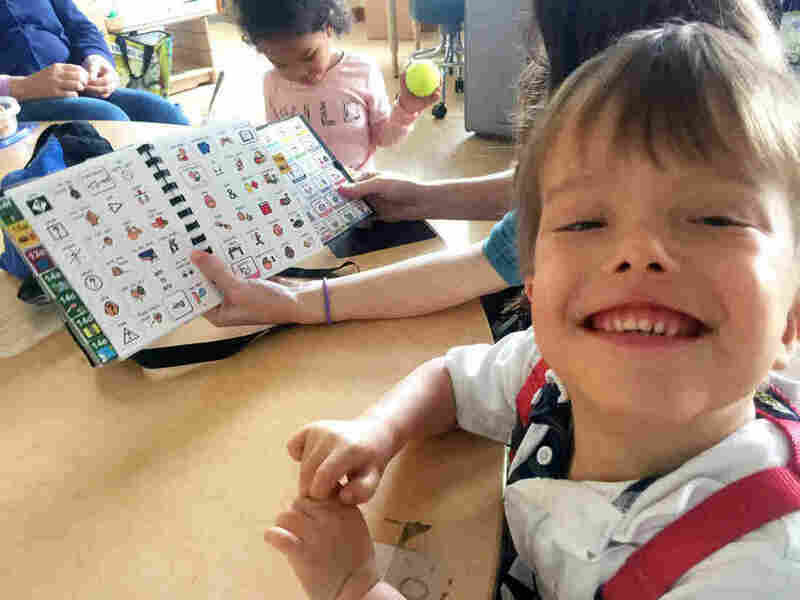 Milo Lorentzen is learning to read and speak using an alternative language method that incorporates symbols and pictures. "He was starting to have behavioral issues until we gave him this method," says his mother, Karen Park. "Now Milo has a voice." "We all worry about the correct diagnosis, and therapy, and management of the disease," Schaaf says, "but we don't think enough about the isolation these families feel, about the stress and anxiety that comes with these disorders." "There are lots of researchers who might be interested in families with genetic conditions if they knew they existed," says Dr. Michael Bamshad, a pediatrician and research geneticist with the University of Washington Center for Mendelian Genomics. Bamshad is also cofounder of MyGene2, a grant-funded, not-for-profit website where families, researchers, and clinicians can connect and share information about rare genetic conditions at no cost. The site was a first-round winner in a recent National Institutes of Health competition to make scientific information broadly available. "The first several years of his life was test after test," says Karen Park, Milo's mother. "X-rays, MRIs, blood tests, skin biopsies." Milo had a range of symptoms: low muscle tone and a body that lacked strength, making him slow to lift his head or push up off his stomach; delays in mimicking people and expressing himself. To his doctors, these symptoms suggested many possibilities. "It takes forever; it's very slow," Park says of all the testing. "And when things keep coming back negative, you feel like: My child is getting tortured; I'm not getting any insight out of this; I just feel like giving up." 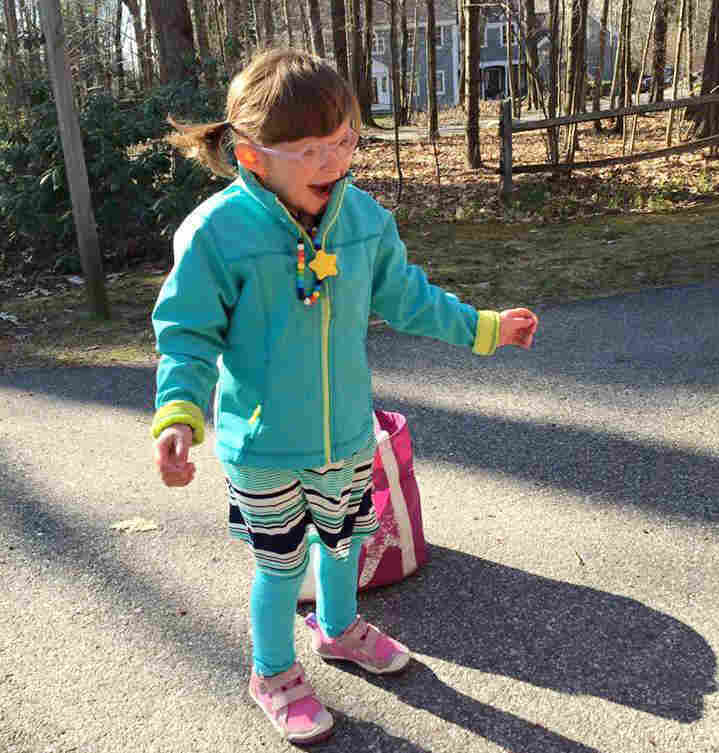 Many rare disorders affect at least enough families to constitute what Park calls a tribe -- enough affected people to spin off parent groups, coping tips, research tools and fundraising walks. But Milo's parents were on their own. So far, researchers I spoke with know of only two other children in the world who have a genetic mutation similar to Milo's. In fact, KDM1A is known to be resistant to evolutionary change — a mutation in it is so rare that researchers hardly ever see it in any animal species. "You're the 'other-other' and not just the 'other,'" Park says. Tess Bigelow is 6 years old and functions at an 18-month-old level. Recently she walked 100 meters in the Special Olympics. "These days there are ribbons and awareness weeks for so many diseases," Bigelow says, "but when yours is ultra-rare, you feel completely isolated. You feel like you're never going to hear another person say, 'Us, too!' And being connected to other families changes all that." In 2013, Milo's parents had his genes sequenced with a relatively new technique called exome sequencing, which streamlines the process by focusing only on the parts of the genome that code for proteins, rather than looking at an individual's total DNA. It was then that they learned about Milo's gene mutation. "We don't know what most of our genes do," explains Barry Starr, a geneticist and director of Stanford at the Tech, a collaboration between Stanford University's department of genetics and the Tech Museum of Innovation in San Jose, Calif. Genes issue instructions to make proteins that run the functions of a cell. But figuring out what any single gene mutation does is complicated. You need to know how the mutation affects the proteins, and how the proteins relate to the disease. You also want to know whether the mutation has appeared in other family members who have experienced symptoms. "You're playing all these games like a detective story," says Starr, "trying to solve a mystery." Bamshad once found a mutation in a gene called MYLPF in a boy who had no muscles in his foot. Bamshad next found a mouse study in which researchers had made a deliberate mutation in MYLPF, resulting in a complete lack of skeletal muscle in the rodent. That was enough evidence to conclude the MYLPF gene was involved in the boy's condition. But sometimes there is no previously published research to search. Bigelow says geneticists who told him of Tess' mutation didn't know what this mutation in the USP7 gene did. Last August, Bigelow put out a beacon to other families who might have the same mutation: a website and social media posts. Remarkably, it took less than a day for a response. Researchers are now examining his daughter's case, and at their request Bigelow has used his website to find two more families with the same mutation. But it can be a lot slower for families and researchers to search through hundreds of websites and Facebook pages for common ground. Now Bigelow and Milo Lorentzen's parents are registered on MyGene2, where roughly 130 families are seeking information on mutations in more than 100 genes. "Our major goal is gene discovery and facilitating clinical diagnosis," he says. "Very quickly, we could identify hundreds of Mendelian conditions and help thousands of families get a diagnosis for rare diseases." The main stumbling block is money to pay for outreach, Bamshad says. Tens of thousands of exome sequences are siloed at individual labs and clinics around the country. Because of federal privacy laws, the only people who can share those are the families who commissioned the sequencing. "We see lots of families on Facebook who are searching for a diagnosis," says geneticist Jessica Chong, MyGene2 cofounder. "It would take time to go search for them and message each one of them to say, 'We can help you.' "
Dr. Christian Schaaf, who's working with Tess Bigelow's mutation, says it has typically taken 15 to 20 years from the time a disease gene has been discovered until the first patients enter clinical trials. He's hoping new sequencing tools and social outreach can shrink that to seven or eight years. 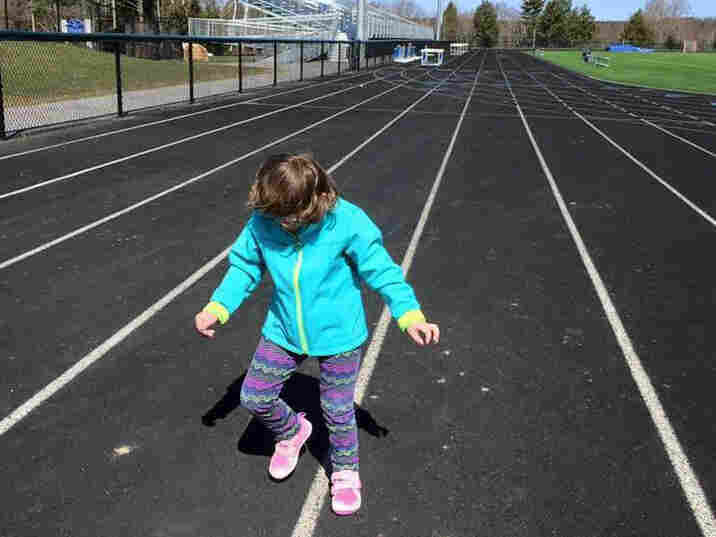 Tess Bigelow stomps it out on the track where she prepares to compete in the Special Olympics. Milo's parents hope that new research will give them more answers. They found a U.S. lab that has agreed to grow cell lines from Milo's and his father's DNA, and another lab in Europe is looking to run studies using the gene-editing tool CRISPR. 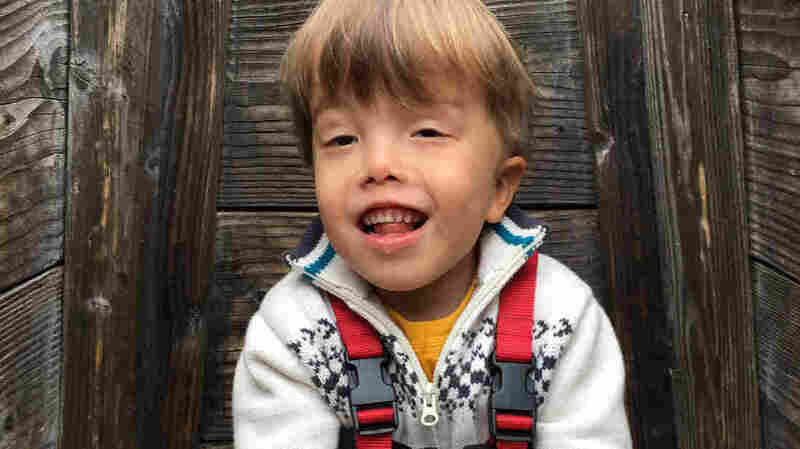 If the labs can replicate Milo's mutation and study its effects, perhaps Karen Park and Peter Lorentzen will learn more about how the mutation led to their son's disorder. From there, will some lab be willing to look at developing a treatment? They don't know. This story was produced by KQED's blog Future of You.